Five students from Cardinal Wuerl North Catholic High School in Cranberry Township were named Best in Nation winners in the fourth annual Verizon Innovative App Challenge for their mobile app concept SAFESPEED. After a tragic car accident resulted in the death of a local high school senior, the winning app was developed to monitor teens’ car speed and inspire safety. The teens were awarded $20,000 for their school. The National Forum to Accelerate Middle-Grades Reform has recognized Ingomar Middle School (IMS), located in the North Allegheny School District, on its highly selective list of 2016 Pennsylvania Schools to Watch. IMS is one of 35 middle schools in Pennsylvania and 400 schools nationwide selected for the honor. The Shaler Area Varsity Competition Squad placed third out of 37 teams in the PIAA Medium Varsity Division on Jan. 30 in Hershey to earn the bronze medal. The team traveled to Orlando in February to compete in nationals. PICT, founded in 1996 as Pittsburgh Irish and Classic Theatre, has named Steven Alschuler as its board president. Alschuler, owner of Pittsburgh-based public relations firm Alschuler Communications, joined the organization’s board last year. PICT produces high-quality classic theater and provides educational programs and outreach to underserved communities. Fox Chapel Area High School senior Stephen Polcyn has been named a candidate in the 2016 United States Presidential Scholars Program. Approximately 4,000 students from across the United States, and 130 from Pennsylvania, have received this honor, one of the highest bestowed upon graduating high school seniors. The Seneca Valley Foundation received donations of $17,500 on behalf of NexTier Bank, and $8,000 from Waste Management through the Pennsylvania Department of Community and Economic Development Education Improvement Tax Credit (EITC) Program grant. The money will benefit the women in engineering class, honors engineering and a college credit accounting class. The Fox Chapel Area School District (FCASD) has been recognized by the White House for its commitment to computer science education. President Obama announced the Computer Science for All Initiative, whose goal is to bring an expanded computer science curriculum to all K-12 students. Only three school districts from across the nation, including FCASD, were highlighted in a fact sheet from the White House. Darlene Carmack, food service director at Seneca Valley, was selected to represent Pennsylvania and meet with members of Congress in Washington, DC, in February to help legislators understand the challenges of the national lunch program on school lunch programs. Seneca Valley School District was showcased as a success story for healthy foods in schools. Julia Scanlon, a senior instrumentalist at Seneca Valley, was awarded one of three $1,000 scholarships from the Pennsylvania Music Educators Association (PMEA). 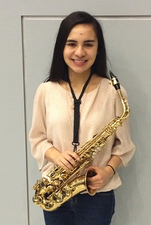 She is a member of the Seneca Valley instrumental program, participates in marching band, wind ensemble and Jazz I. She has repeatedly been selected for PMEA District 5 Honors Band, PMEA District 5 Jazz Festival, and PMEA District, Region and All State festivals. She plans to attend Brigham Young University next fall and major in music education. A total of six North Hills High School and middle school students participated in the PA Junior Academy Science competition on Feb.6 at Duquesne University. The four students who secured first-place honors, including one student with a perfect score, will compete at the state competition in May at Penn State University. 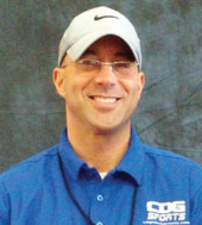 Larry Richert’s Hometown Heroes has chosen Dave Gray of CDG Sports Family as one of its 2016 Hometown Heroes. A presentation will be held on March 3 at PNC Park at an evening benefiting the Warrior Foundation, a local organization dedicated to serving post 9/11 veterans. Niche has just released its 2016 Best Schools in America rankings for private high schools, and ranked Aquinas Academy of Pittsburgh number one among Catholic high schools in the state of Pennsylvania. Schools achieve this ranking by scoring highly on a variety of factors including SAT/ACT scores, student-teacher ratio, the quality of colleges that students consider, and reviews from students and parents. La Roche College will offer its annual Global Development and Humanitarian Aid Training Program this May, which is designed for those who want to enter the field of humanitarian and emergency aid. The program provides specialized instruction in disaster relief response, sustainable humanitarian aid and global development in partnership with RedR UK, one of the world’s premier training organizations. Students from all over the world will gain knowledge from local and regional experts while participating in introductory training and hands-on simulations. Five Shady Side Academy seniors have been named finalists in the 61st annual National Merit Scholarship Program. These academically talented students will continue in the competition for 7,400 National Merit scholarships worth more than $32 million that will be offered in spring 2016. There are approximately 15,000 finalists nationwide. Finalists include Shaan Fye of Pine, Michael Kann of Fox Chapel, Roy Navid of Fox Chapel, Juliana Sandford of Murrysville and Amanda Williams of Upper St. Clair. Shaler Area School District will benefit from two separate grants through the Pennsylvania Department of Education’s Safe Schools Initiative Targeted Grant program aimed at improving school safety in the district. Sixteen Shady Side Academy students were recognized by the Alliance for Young Artists & Writers with 46 Regional Scholastic Art Awards in the 2016 Scholastic Art & Writing Awards competition. A panel of artists, art educators and art professionals selected these students’ artwork as the best submitted by teens in grades 7-12 in the Pittsburgh Arts Region out of nearly 2,000 submissions. The students won awards in eight different art categories, earning a total of nine Gold Keys, 11 Silver Keys and 26 Honorable Mentions.